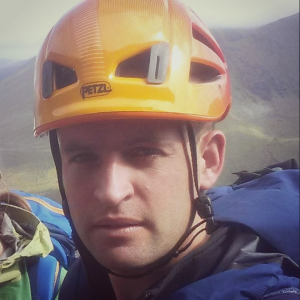 Introducing Mike Jones Adventurer, Our New Blogger. I mentioned a while back that our blog would soon be joined by a man who frankly encapsulates the adventurous spirit. If you were to ask anyone who knows Mike, of his whereabouts, they would point you in the direction of the water, a mountain or something that involves a compass. He rowed the Atlantic from Morocco to Barbados, single handedly rowed around Ireland in a Kayak, has been found in base camp Everest…I could go on. 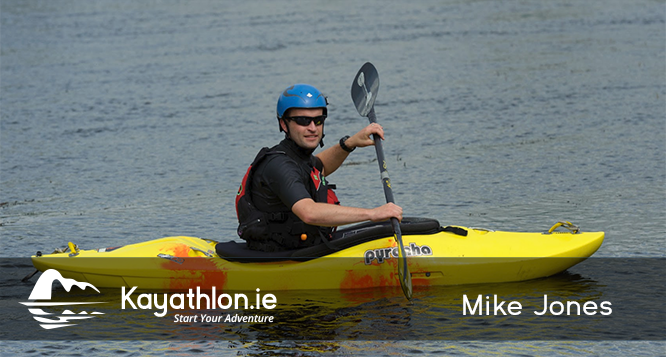 I’m delighted to announce that Mike Jones, will be joining us on our blog, to help all us mere mortals with Kayaking advise and much more. So I’m going to use this opportunity to put Mike under the Spotlight and let you know more about his awesome adventures. I grew up in Cobh Co. Cork but I now live in Killaloe in Co. Clare with my wife. 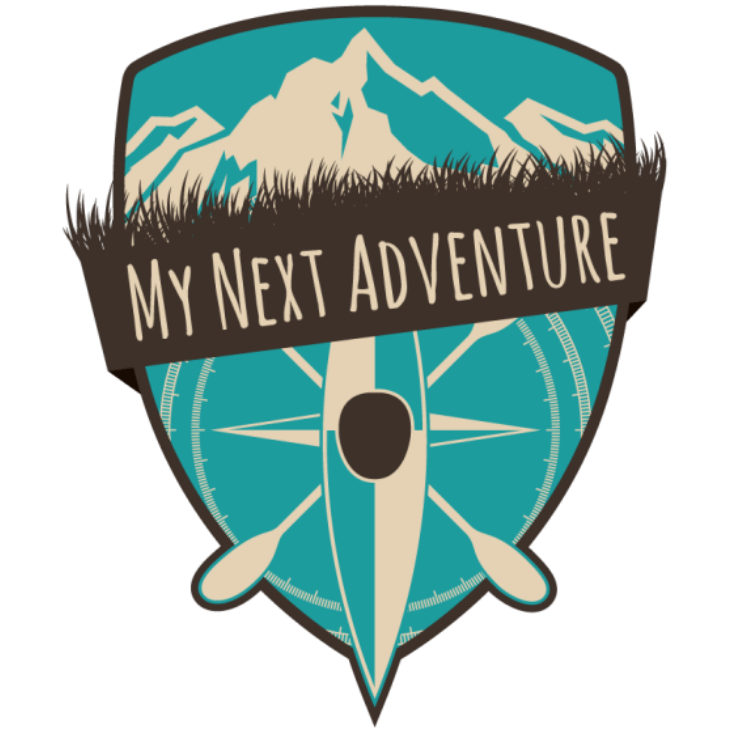 Adventure guide is probably the most accurate title but I do a few other things too. 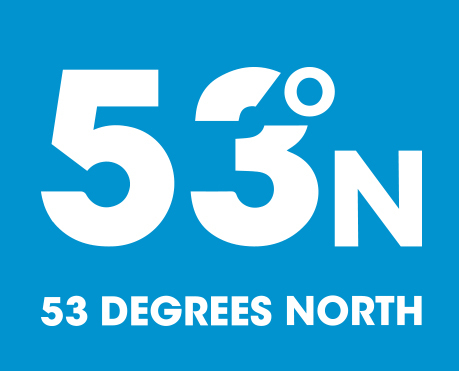 MyNextAdventure.ie…Can you tell us a little about this? 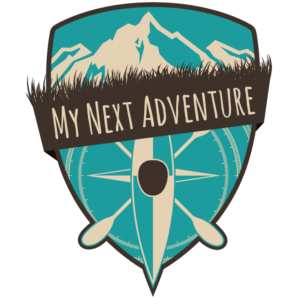 My Next Adventure offers guided kayak tours and was established in 2015. We currently offer tours in Killaloe and on Lough Derg for adventurers of all ages and abilities. We also run kayak touring courses and provide training in forward paddling technique for racing. Flow – Training and Consulting. Can you tell us more about this? Flow is a mixed bag of services the most relevant ones to adventure racing are working as an in International trekking expedition guide with www.earths-edge.com, training kayaking instructors and providing training to search and rescue boat crews on the coast. It is great variety and keep some on my toes and takes me to some incredible places both in Ireland and abroad. Rumor has it you sleep in our kayak…only joking but there is a definite attachment there. When and how did your kayak journey start? I started kayaking as a sea scout in 1992 and dabble for about 6 years until I went to college in 1998. In college it rally kicked off and I spent the following 10 years chasing waterfalls, against the best advice of TLC. What’s the furthest you have ever kayaked? In a single day, I have covered about 80km which was from Carlingford to Howth. But this was only a small section of a solo circumnavigation of Ireland which was a total of about 900km. What’s the most difficult route you have ever kayaked? One of the most challenging rivers I have kayaked is the Brandseth in Norway which has several massive waterfalls the highest of which is an 80foot high slide. Most of the rivers I kayaked in Norway are very challenging but I have also kayaked some steep stuff in Italy and Corsica which are good fun once you have the right skills and a solid team. Do you have a favorite kayak? At the moment I am in and out of a range of boats depending on where I am paddling and whether it is work or pleasure. 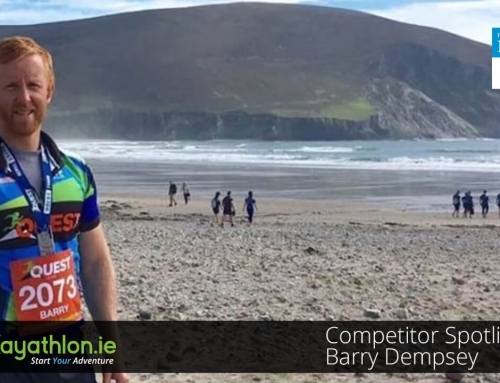 I was very fond of my Sipre Merano Evolution sea kayak which I had custom made for my solo trip around Ireland, I sold it on to a friend who took it for a second lap. I am also a big fan of my Pyranha Burn which never fails to put a smile on my face on white-water and waterfalls. If you could kayak any river/sea or probably in your case ocean, where would it be? I will try to keep this short! I would love to get back to Nepal for some big multi-day trips or to have a crack off the Dudh Kosi which flows off Everest. I would also like to explore some rivers in Peru and Chile and do some Sea kayaking in Alaska and New Zealand. I also have a strange draw to kayaking the North Atlantic! There is one other big project I have been thinking about for a few years but I am keeping that to myself for now. I like to think of kayaking like cycling, you have arrange of disciplines to suit all sorts of skill and interest levels from crazy downhill to mellow greenways. 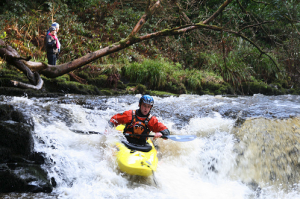 If you don’t know which type of kayaking you are interested in, check out www.canoe.ie for info on different disciplines and also for a list of clubs and providers. If you still have questions as to how to get started, drop me a line. 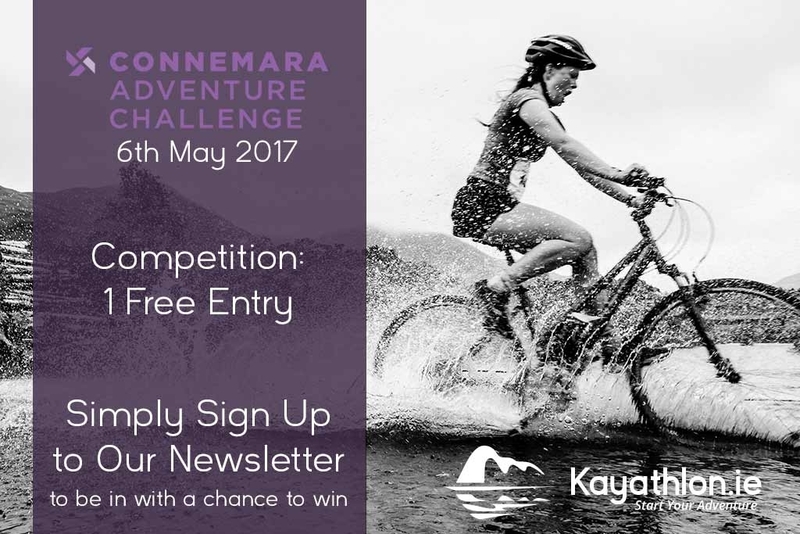 Your talents don’t stop at kayaking, we see you are a keen mountaineer, What’s the highest/toughest you have ever climbed? Once upon a time I lived to climb but then kayaking took hold, recently though I have been getting back in to the mountains to trek and climb. The highest I have climbed is Kilimanjaro, which I have summated 4 times. The toughest is probably some of the routes I climbed in Scotland in winter where the weather is relentless making climbing very challenging. Tell us of some of the mountaineering expeditions you have undertaken? In the past couple of years I have guided group on Kilimanjaro and to Everest Base Camp. 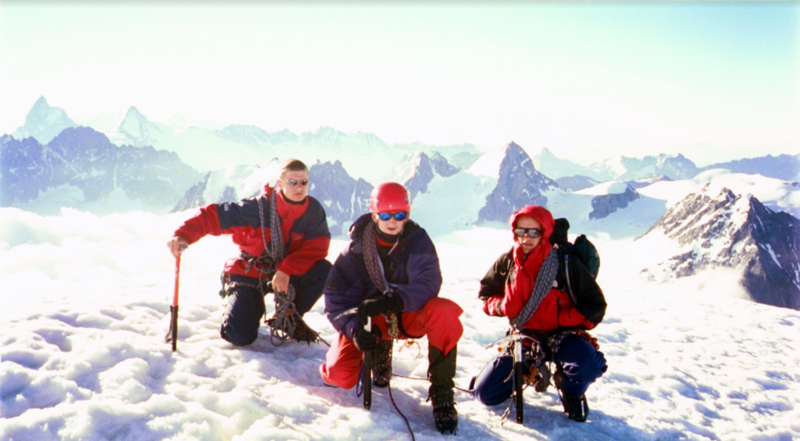 I have also spent some time in the French and Swiss Alps honing alpine mountaineering skills and summit Mont Blanc when I was 18. I have also toughed out a few cold wet trips to the Scottish highlands in winter. Any mountains/climbs on the bucket list? I spotted some incredible mountains in Nepal last year and would like to get back some time to have a crack off Pumori and Ama Dablam. Closer to home, I have my eye on some classic routes like Tower ridge on Ben Nevis and the Frendo Spur in Chamonix. The Hornli ridge on the Matterhorn would also be incredible. You do a lot of charity fundraising through your love of adventure, which is awesome. This is not as much a question but more of an acknowledgement, so well done. Cheers, I do like to give back when I can. You used to run adventure races in the past. Which ones were they? Any plans on organizing any down the road? I set up and ran the Lough Derg Monster a few years back, just outside Killaloe. I have since changed jobs so no plans to do anything in the near future, but never say never! 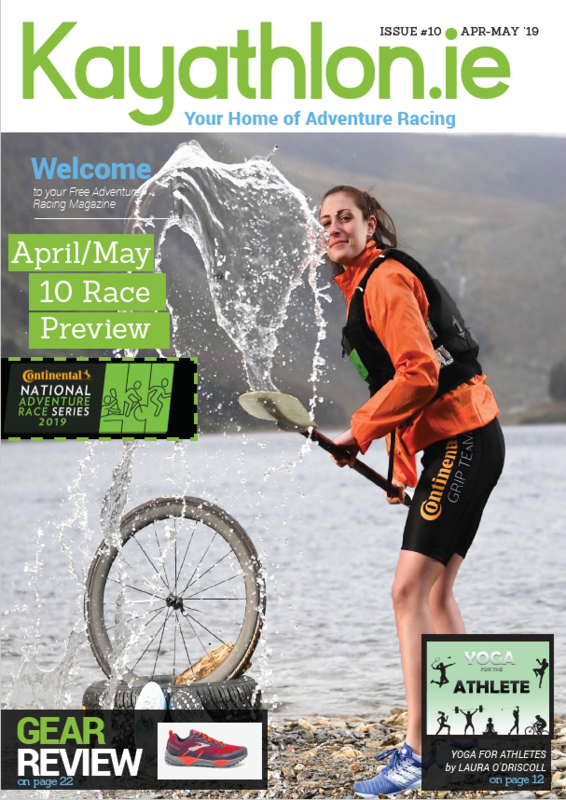 What got you into Adventure racing? I remember watch the Raid Gauloises on TV when I was a kid and thinking I want to do that someday. After that, it took a few years to take off in Ireland but that was the beginning of it for sure. How many races have you done? Only about 10-15 organised races I think but I am always out and about trying new challenges and exploring new areas. I took part in a Lowe Alpine Mountain Marathon in about 2000 which was a 2 day mountain running event. 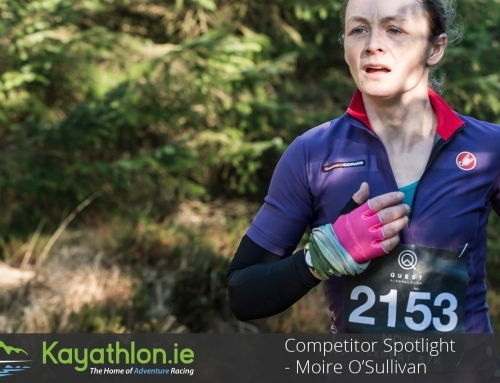 My first multi sport race was the first Gaelforce in 2006 I think. My wife and I did it together along with about 150 other brave souls. 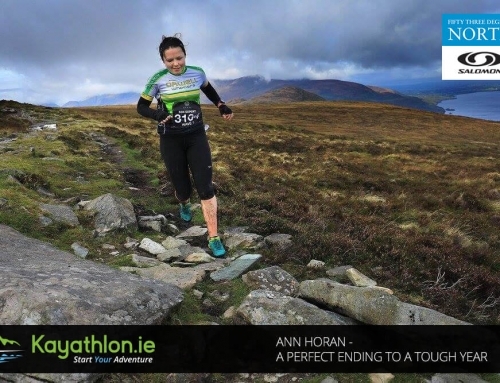 I do like the Gaelforce course it provides an incredible challenge in incredible scenery. I am keen have a shot at an international multi day expedition race, something like Godzone or one of the AR World Series events. Getting a chance to explore new wild places and meet like minded people. What’s the plans for the upcoming calendar year? I have a busy summer of kayak guiding in Ireland ahead, hopefully! Then I head off to Machu Picchu guiding, followed by a return to Everest Base Camp in the autumn. Hopefully I will fit some training in around this and might even squeeze in a race or 2. What music are you currently listening to when out? I never listen to music when I am outside, I just listen to the world around me and to my body. Big fan of Salomon and have been for years. 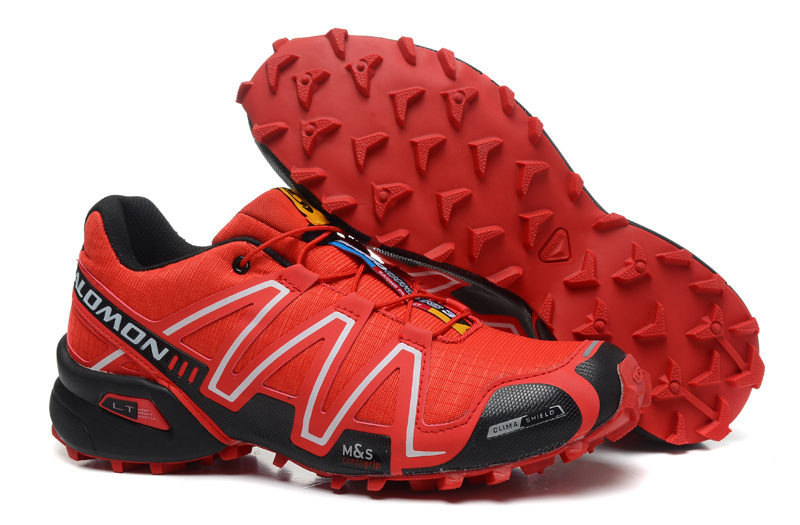 Think I might treat myself to a new pair of Speed Cross. I am a Giant fan boy. I have an old TCR road bike and a Trance for the MTB trails. Week before race…what do you do? Take her handy, eat well, sleep well, and stay loose. Morning of race…what do you do? Panic! No seriously, I don’t do anything unusual just eat a normal breakfast and get the body and mind ready for action. No none that I am aware of, just avoid ladders and black cats, the usual stuff. Any embarrassing moments you wish to share? Running up Croagh Patrick with my bike helmet on during Gaelforce! Safety first I suppose. The longer and rougher the better with some navigation thrown in to slow down the super athletes and give me a chance! Post-race…do you spoil yourself, if so, how? It depends on how the body feels, it is nice to celebrate with a beverage and debrief with mates though. Laughing at the guys running down Croagh Patrick with their bike helmets on, only to realize I am running up with mine still on! Strangest thing you have seen on a race? I once saw a guy with his pointy aero helmet on backwards at a triathlon. That certainly got a giggle. Has to be a close call between Achill and Killarney so I suppose the west coast will cover both). 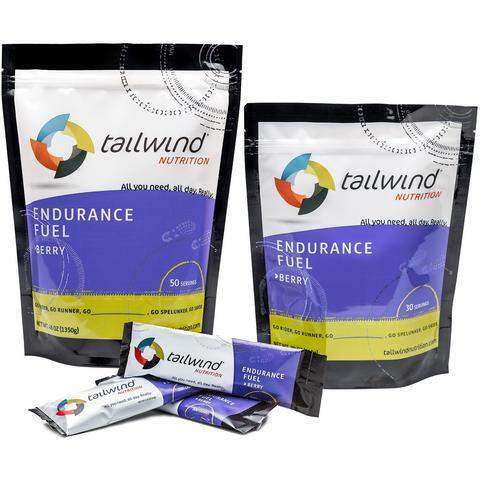 Hydration/Gels? Do you use them? Do you use any particular brands? I do use them sparingly. Most recently, I have used Squeezy gels which taste good and are easy to digest. I also like the Cola flavoured Kinetica gels. I massively envy and admire Ueli Steck and Killian Jornet for what they can do in the mountains. Also huge respect for Leo Houlding for his climbing exploits. Just give it a go. The adventure racing community is super friendly and supportive even to the point of helping you stretch when you are doubled up with cramp after falling off your bike, I know I was the one in need! Make sure you catch up with all Mikes future blogs. They can be found here…blog. We will announce them on our Facebook page as they go live so make sure to like our page too. 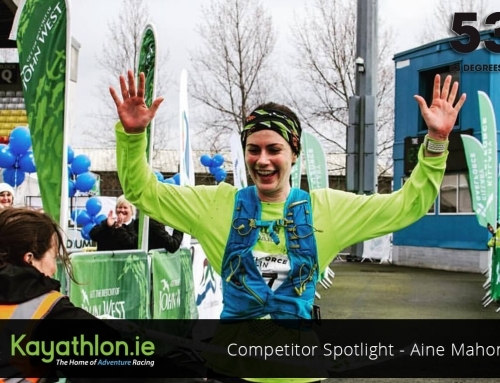 If you know of anyone who would like to go under the spotlight, email us at greg@kayathlon.ie. 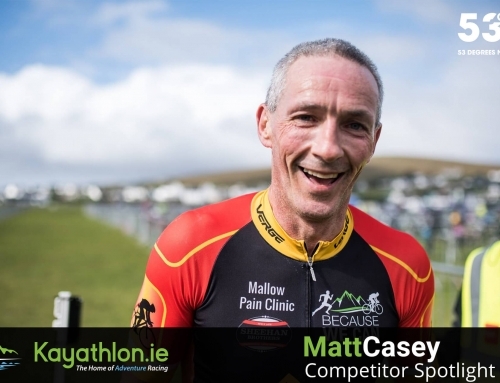 In case you missed this weeks Competitor Spotlight – Denis OSullivan – here is the link.